Inspired by the iconic Tommy Crest originally released in 1985, the new Crest capsule by Tommy Jeans features denim essentials that inject an irreverent twist into the brand’s rich archive. The iconic Tommy Crest of a lion with a sword encircled by laurels, is reinvented in modern applications and unexpected placements throughout. The global integrated digital campaign, shot by fashion and portrait photographer Luc Coiffait, features up-and-coming artists Jelani Blackman and RIMON, in which they celebrate positivity, diversity and bold self-expression, while paying homage to the brand’s music heritage. Shot in London, Jelani Blackman and RIMON brought their unique edge to the Tommy Jeans Crest styles, inspiring audiences with their relentless drive to push the boundaries of expectations, through exclusive video interviews on the mobile-first campaign, with both artists sharing their ambitions, icons, favourite travel destinations and music tracks. 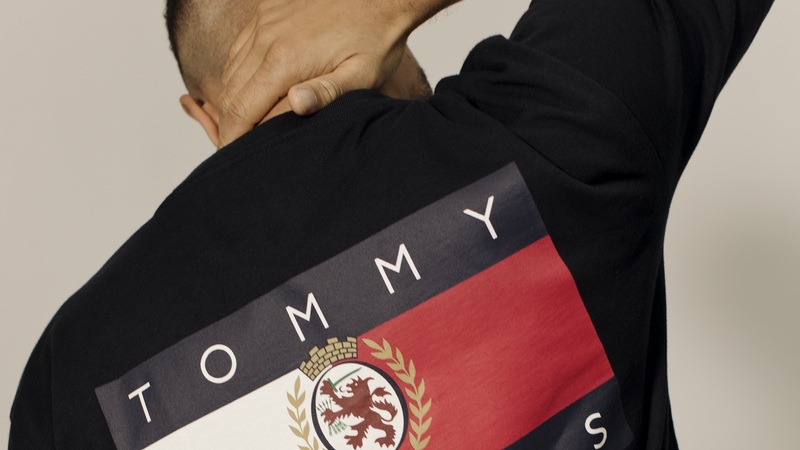 Iconic menswear pieces from the Tommy Jeans Crest capsule include a denim trucker and navy and green plaid Harrington jacket with the embroidered Crest and “Tommy Jeans” lettering on the back, whereas the stretch flag logo is featured on sweaters of white, red and navy tones, while others come with the embroidered Crest and “Tommy Jeans” lettering on the front. Other ready-to-wear pieces include a multi-coloured plaid shirt with a small Crest embroidered on the breast pocket, and red, white or navy T-shirts with the Crest in front of the Tommy Jeans stretch flag graphic across the chest – both of which pair nicely with bottoms, such as the light and mid-wash dad jeans with the Crest embroidery on the back pocket, white dungarees with the Crest in front of the Tommy Jeans stretch flag logo patch on the front, and navy or red sweat pants with the Crest printed down the side of the legs. There are also accessories of plaid caps, backpacks and bum bags in navy, white or green/navy, as well as red, white or navy socks with the Crest detailing throughout.